I am still in Alabama. 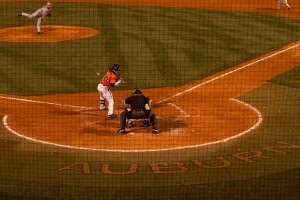 Spent two days in Auburn, home of the Auburn University Tigers. I arrived just in time for graduation. That unfortunately meant that the campus was empty and the university town feeling was not quite there. Nevertheless, I had a great experience. For the first time in a very long time did I read the words “alfalfa sprouts” on a menu. No matter what it was, this had to be good. And it was! A tuna salad sandwich with lettuce, tomato, provolone cheese and alfalfa sprouts, YUMMY! Probable the best sandwich I had in the last month, thanks Jimmy John’s. Sorry, fried foods. To top this off I had a cup of coffee and a delicious white chocolate, macadamia nuts cookie next door at Taylor’s Bakery. My day was made. 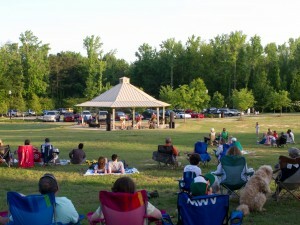 In the evening I went to a little open air concert in Town Creek Park. A total family affair; kids running around having a good ole’ time and the parents relaxing. What else can anyone ask for? And the music wasn’t bad either. Since I am a creature of habits and who knows when I get my next great sandwich, I repeated my lunch indulgence the next day. I also bought a bunch of cookies for the road. Anyone would say that’s enough of a good time, but no I had to top all this. Here in the South college sports are very big. Auburn is known for its great football team. They have a stadium seating 87,000 + fans. In comparison Giant Stadium in New York (technically New Jersey) only seats 82,000! Unfortunately, football season doesn’t start until the fall so I had to “settle” for a baseball game. Not as popular, the stadium only seats a little over 4,000, but still an experience. Especially when you get a photo pass and have access to the field, lucky me. I had never photographed a baseball game before, so there was a learning curve. The next day I didn’t want to move, but I also didn’t want to stay in Auburn. So I did the second best thing. I found a state park with a campground at a lake that was only 50 miles away. I could manage to drive 50 miles, 1 1/2 hours, that’s OK.
Lake Martin - I have to live through this every evening - how do I do it? As I mentioned in an earlier post, I don’t know how I manage to pick these campgrounds, it’s a gut feeling. 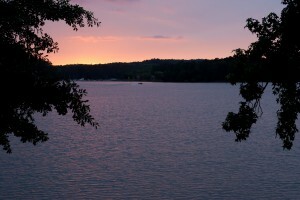 I am facing Lake Martin just a few feet from my camper. The water is even warm enough to go swimming. My Auburn campground wasn’t bad either on a farm, quiet and green. I got to talk to my campground neighbor and he recommended a restaurant about 12 miles from the park. Nothing around here is close by. He also mentioned a gourmet food market. My heart jumped for joy. I would check both out on Sunday. Rosemary flavored home fries and crab cakes egg benedict, OMG! I savored every bite. The restaurant is called Sinclaire’s and if you don’t know that it is there you wouldn’t find it. 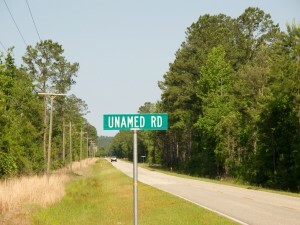 There is no sign on the road where to turn. I never realized how much food can change your mood. Food can be healthy and good for you, but it has to be satisfying to be mood altering. I had a similar uplifting felling after the tuna sandwich. Off to Catherine’s Market. Fresh fennel, leak and other vegetables I hadn’t seen in a while. And most importantly, at least for me, fresh cheese. Not the supermarket variety I have been getting. Thanks for the tips Randy. I was already contemplating to have some cheese shipped to me from Fairway or Schaller & Weber in NYC. Only problem, I never know where to have that stuff shipped. I never stay long enough for mail delivery. I now have a freezer full of fresh veggies, these are my frozen veggies, not store bought. Speaking of freezer, this is the first time in almost 22 years that I have a freezer. I know that’s hard to believe, but in NYC I only have an under the counter fridge with a cooling compartment. I now have ice cream in my freezer and I find myself sitting on my “couch” watching online TV and eating ice cream, heaven. Wow, who would have thought that I have to move into a smaller space to get a bigger fridge. I already have extended my stay here at the lake. Tomorrow I will rent a little motorboat and have some fun on the lake. Eventually, I will head west. Just a cavern, a waterfall and a lost luagage store that I want to see first before leaving Alabama. I want to be in California at the end of July for the big garlic festival in Gilroy, don’t ask. 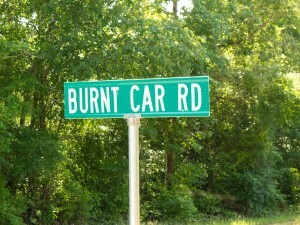 FYI, I am still traveling the back roads, Interstates are too crazy. Here are some more fun signs. 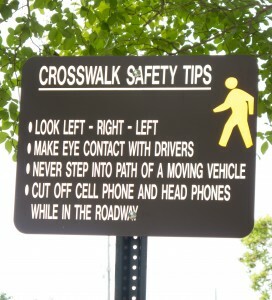 Crosswalk instructions at Auburn University - don't they really know? yeah, Alabama is beautiful. Lots of forests, rolling hills and wonderful beaches. You should have seen tonight’s view. Clear sky, sliver of a moon and stars, just bliss.